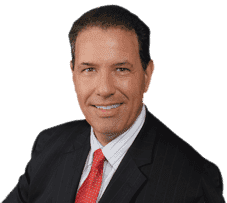 A Slip and Fall Attorney in Boca that you can fully trust to provide you with excellent, professional legal advice and representation is Robert E. Gluck. He became a lawyer in 1989, so he has the experience necessary to be a successful, aggressive, and determined slip and fall attorney. A slip and fall happens when you fall on another person's property, a wet surface, an uneven surface, an area with insufficient lighting, or any other location that is somehow risky to the public. Robert E. Gluck will first have to show negligence at the time of your slip and fall incident. Once negligence is verified, Robert E. Gluck can begin the slip and fall claim process. Your Slip and Fall Attorney in Boca, Robert E. Gluck, understands the importance of having legal representation after a slip and fall accident. He is fully educated on personal injury law and stays updated with all current legal processes. Robert E. Gluck will prove negligence and then launch a full investigation of your case. You can trust him to work efficiently for you, and fight for your legal rights. He will guide you from the very first step until the last step, and offer you all the emotional support you need during this difficult time. It is important to hire a Slip and Fall Attorney in Boca when you have suffered injuries due to a slip and fall accident. Research shows that when a victim is represented by an attorney the chances of getting a higher settlement are greatly improved. Robert E. Gluck will help you feel less stressed about your case and will even offer his cell phone number to you in case you need to reach him outside of office hours. Robert E. Gluck is an attorney who understands the law, and is also compassionate and aggressive. He will fight hard for your legal rights and make certain you are treated fairly at all times. Your Slip and Fall Attorney in Boca will serve as a powerful voice for you during the case. He will guide you every step of the way, and do everything he can to get you the settlement you are entitled to. He will speak to witnesses and get their statements, he will obtain video footage, take pictures of the accident scene, and look for damage at the accident scene. Robert E. Gluck will always keep you up to date on all aspects of your case, and answer any questions you have along the way. Do not delay hiring a slip and fall attorney, call immediately after your accident to greatly improve your chances of getting compensation for your injuries.